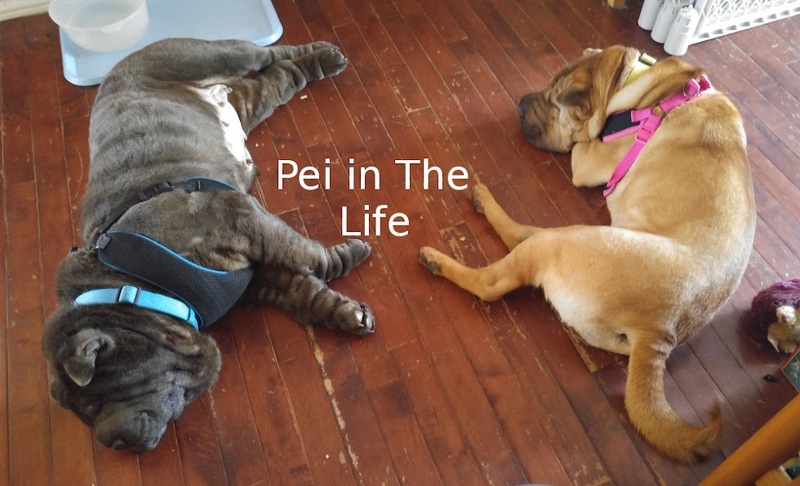 Pei In The Life: Mailman Monday! Mom and Dad and Puppy have been super busy recently. Can't say that I've been all that occupied with anything but sleeping on the bed, sleeping on the sofa, drinking water, peeing it out later, you know, the usual. Some excitement did happen not even 30 minutes ago! Picture this! There I was in the backyard, sniffing around, making sure the perimiter was safe when Mom opens the door and says, "Bolo! Inside! Mailman!" So I got a chance to sniff out my Mailman! He's a nice guy. I like him. He's always very friendly to us. Thank you Mr. Mailman! That's about all the excitement I've had recently. That pic may be an oldie but t's a goodie! Did the mailman bring you anything exciting, Bolo? What a nice surprise. We bark like maniacs at our mailman. You are a nice doggie.